More than 500 families and professionals learned valuable information about helping adolescents with special needs/disabilities prepare for adulthood during the 13th annual Illinois Statewide Transition Conference on Oct. 23-24 in Springfield. The conference, titled “Stepping Stones of Transition,” is aimed at youth, parents, caretakers, vocational professionals, healthcare professionals, educators and other key stakeholders Participants were invited to discuss the possibilities for students with disabilities in the areas of independent living, education and training, employment, community integration, health care and self-advocacy. Youth and young adults with special healthcare needs learned how to plan for their future and life after high school, how to sort through the maze of resources and what skills are important to develop to prepare for adulthood and meet their goals. The University of Illinois at Chicago’s Division of Specialized Care for Children (DSCC) served on the steering committee for this year’s conference and covered the conference-related expenses for 20 of our participant families across the state. Part of DSCC’s mission is to connect adolescents with special healthcare needs and their families to resources that prepare them for the transition to adulthood and the delivery of adult services. Former DSCC participant Ashley Santiago-Sanchez, 21, attended the conference with her parents and younger brother. Her father, Ivan, said his family wanted to gain as much information and resources as possible to help foster her independence and prepare for adult life in the community. Saurabh and Mukta Agarwal attended with their teenaged daughter, Radhika, who currently is enrolled with DSCC and requires skilled in-home nursing. Their Care Coordinator made sure that DSCC paid for the family’s registration, hotel, transportation and cost for a daytime nurse for Radhika. “A lot of times families (like ours) don’t know the options,” Saurabh said of planning for the future with a medically complex child. Saurabh said he was especially touched by keynote speaker Matt Cohen, who spoke about his experiences with his son and how he learned to determine transition priorities for students and ensure their real-life needs are met. He and Mukta also appreciated the opportunity to make connections with other families and professionals. “All of the information was very helpful, and now we have to do our homework,” Saurabh said. Click here to view photos and more information about this year’s conference. 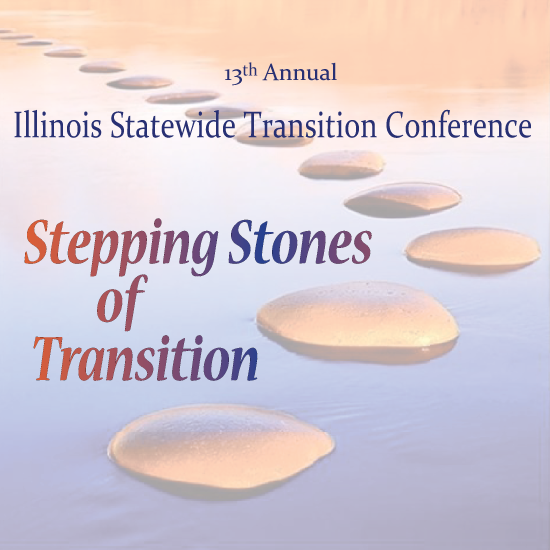 The 2018 Illinois Statewide Transition Conference is scheduled for Oct. 25-26 at the Westin Chicago Northwest Hotel in Itasca.